Say Hello to Perran Bear! 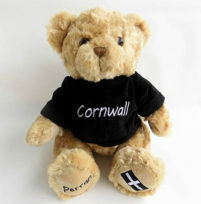 He is named after St. Piran – the patron saint of tin miners. His birthday is 5th March the same day as St Piran’s and he has the flag of St. Piran embroidered on his foot. What a patriotic little bear! 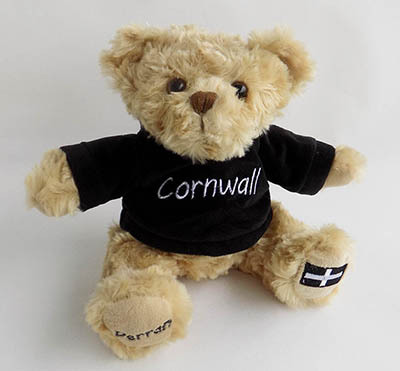 Perran Bear is 18cm high and is made from the finest squeezably soft material and wears a velvet feel embroidered sweater. His brother is a little taller standing at 25cm high but is identical in every other way. He is hand washable and conforms to European safety standards EN71.His details are written in English and Cornish on his little ear tag.